Update (1/21): an even newer version (0.9.2) is now available at the link below. 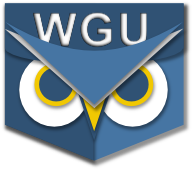 The new versions of PocketWGU for Android devices (including the Kindle Fire) is almost ready. It's not available in the Market yet, but if you would like to give it a try (and tell us about any problems you have with it) head on over to the super-secret, experimental beta test page to download the new version. Everything is fresh and new, so some things may not work. If they don't, let us know!